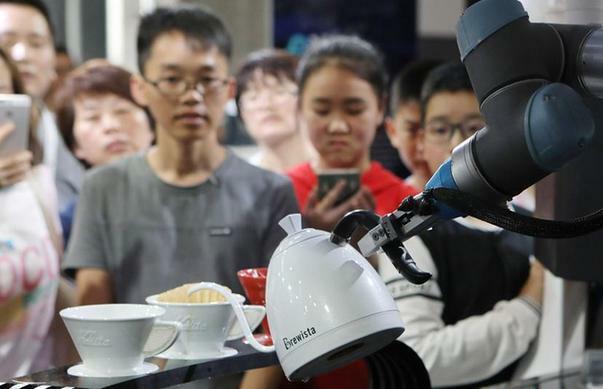 During the China International Big Data Industry Expo 2018, which closed on Tuesday in Guiyang, Guizhou province, experts and industry insiders from China and abroad shared their opinions on Guizhou's big data industry and other development issues at the various forums and conferences. 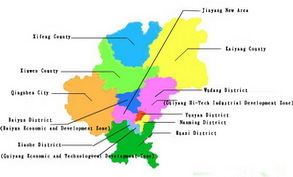 I see Guizhou and Guiyang actively developing cutting-edge technology and the big data industry. Their actions can help protect lush mountains and rivers and can provide hope to impoverished areas. I believe Guizhou and Guiyang will be one of the richest places in China in the future, because they know the truth of future. They are willing to challenge what others do not dare to. This is the most hopeful part in poverty alleviation. Poverty alleviation is to give hope, not just money. In the past four years, there have been many changes in Guiyang. The most prominent part is that the city is becoming more energetic. According to the analysis of statistics acquired by WeChat and QQ during Spring Festival, the proportion of young users aged between 16 and 35 were very high among the whole population of Guiyang. We also observed that after Spring Festival, there were still a lot of young users coming to Guiyang from other cities. It shows that Guiyang has become a young and attractive city. As part of a national strategy, the big data industry receives great priority from the central government. President Xi Jinping has addressed the significance of developing big data on many occasions. The value and potential of big data has become recognized by society, and a large number of enterprises, funds and venture capital firms have poured investment into the big data field. At present, big data is in a healthy development period. The 2018 China International Big Data Expo is fantastic from a global perspective. It shows that China has taken a leading position in that field. I think the rest of the world is watching closely what is happening here as well as what is going to be happening in several years in the light of applications of big data. I am personally very excited about it and I think this is such a great opportunity to transform many things we do. Earlier this year, our prime minister visited China to further enhance this golden era of the relations between the two countries. The collaboration between the United Kingdom and Guizhou is particularly strong and active. We have been actively engaged in the Big Data Expo in Guizhou since the very first event in 2015. The UK remains steadfast in our support for Guizhou and continues to develop a big data strategy in China and overseas.